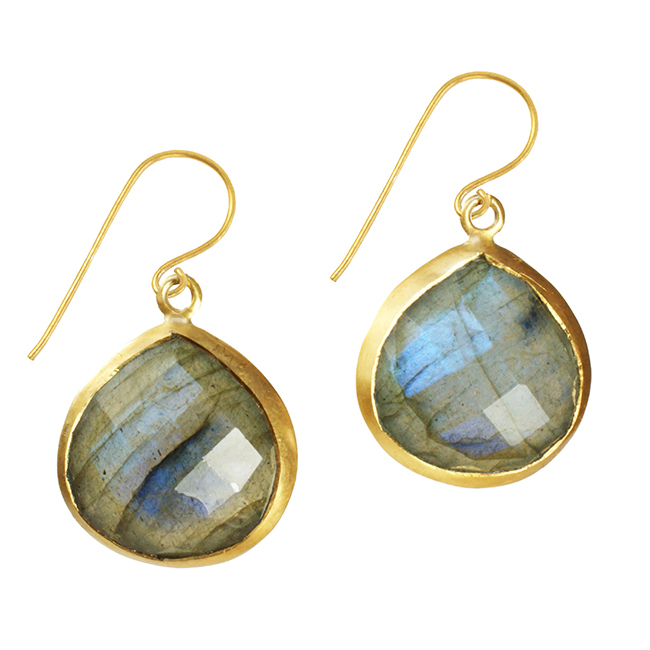 Sofia Earrings Iolite. 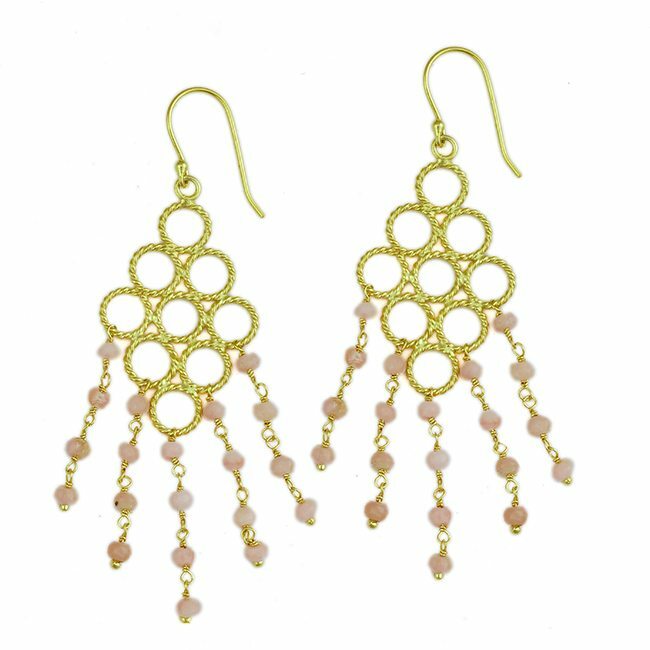 A delicate pair of silver and gold vermeil chandelier earrings. 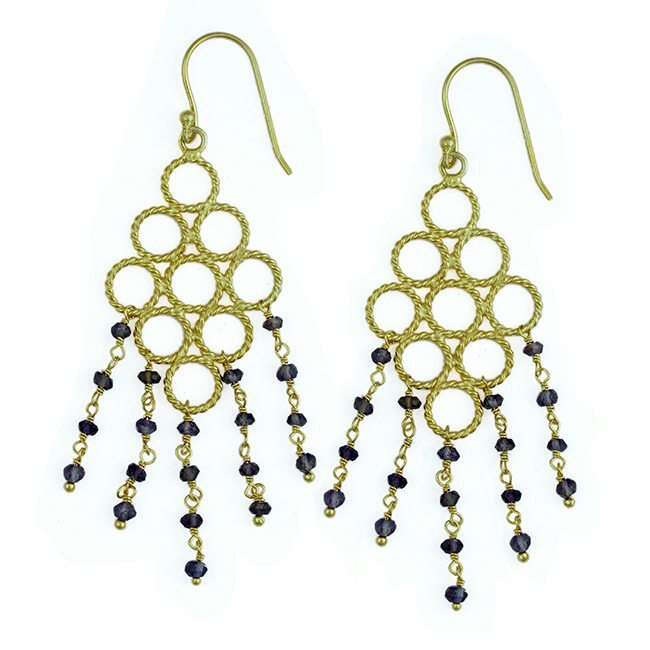 These pretty earrings feature Iolite beads, the silver gold frame has a rope texture. 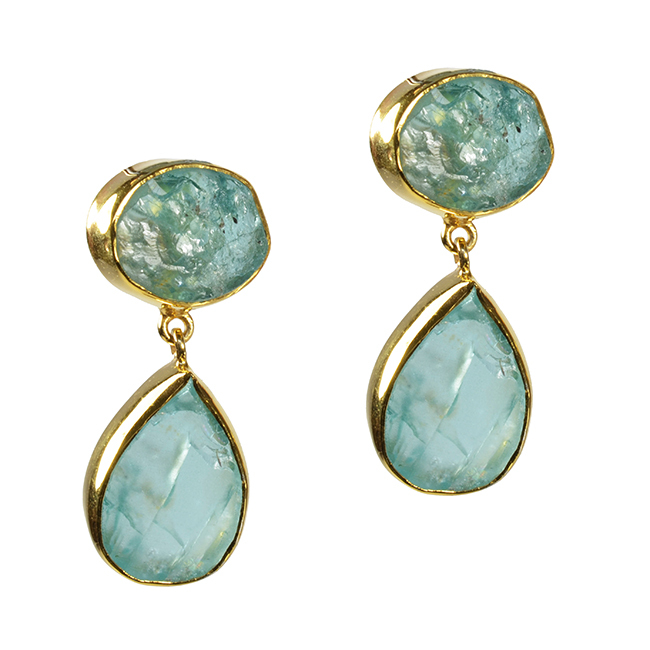 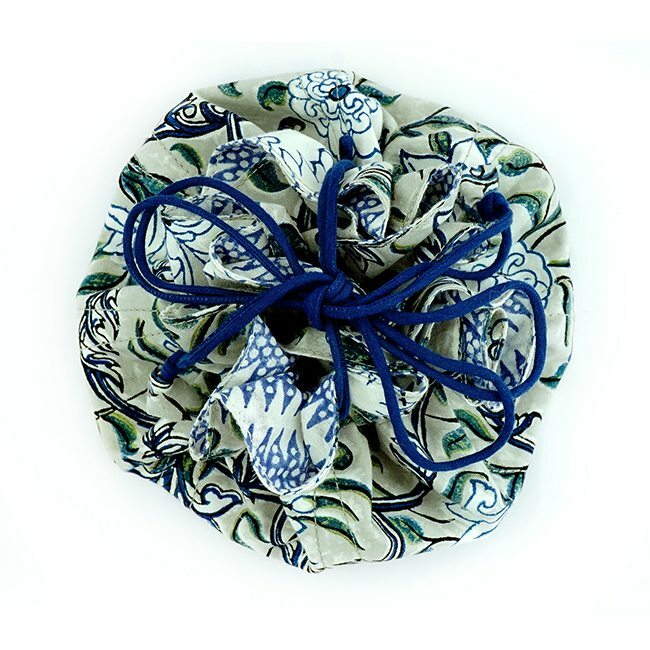 The sofia earrings are perfect for day or evening wear. 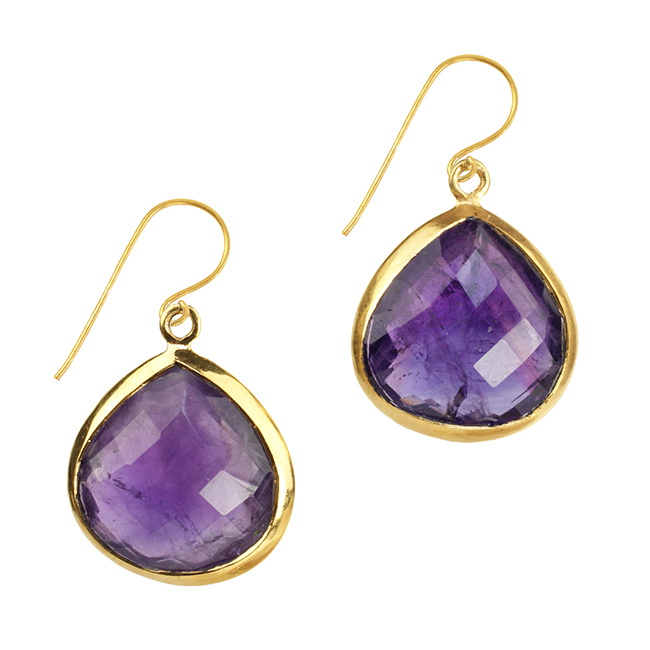 As with all our jewellery, these earrings will be gift wrapped in our branded jewellery box and tied with contrasting ribbon.